Instant tachograph driver information for drivers on the move. Digifob has been designed with driver safety in mind. Not compatible with MAC. Stand alone driver card analysis. 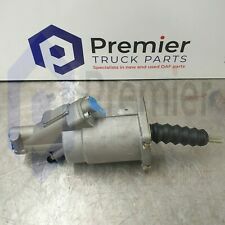 This product is simply the tool which takes data from driver card. Card Reader for Drivers’ Digi Card (Digital Tachograph Card) Do you use a digital tachograph digi card?. •Tachograph Analysis Software - FREE Download here This does not affect the use at all. It is your responsibility to ensure you have checked the links for download compatibility etc before purchasing this digital tachograph reader. OMNIKEY Digital Tachograph Drivers Smartcard Reader. A high-performanceOMNIKEY smart card reader for desktop use with multiple standing options in a robust housing. It is an easy-to-install USB device suited for all driver smart cards. Truck HGV Digital tachograph holder organiser. Trucker's Digital Tachograph organiser. tacho organizer truck wallet Lampa. Lampa 98044. Also used by drivers who simply want to keep a written record of their working week. Includes instructions of how to use, which are printed inside the front cover. 15 reports in duplicate 1 page per week. Trucker's Digital Tachograph organiser. A "must have " item for any truck HGV driver. Efkon EFAS 3 e1 200. approved for. Digifob has been designed with driver safety in mind. new digifob V3. 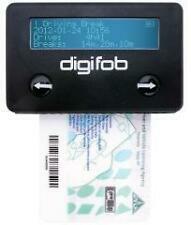 digifob is by far the simplest way to display data from a Digital Tachograph driver card. The data is represented logically and uses industry standard symbols. The new TachoTek Digital Tachograph Driver Card solution can be used to display and manage data for as many drivers as required. Information about each driver is automatically collected when their digital tachograph card is inserted into the card reader supplied. 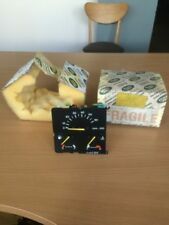 Box of 100 Black Tachograph Charts- Heavy Goods Vehicle / Lorry/ Truck/ Bus/ Coach. Tachograph Analysis. Director / Transport Manager Compliance Training. Digital Tachograph Driver Card Holder. 9 DIGI PRINTER PAPER ROLLS. INDIVIDUALLY FOIL WRAPPED. Removed from a working van. TMS SOLOPLUS software is an easy to use, cost effective way to be compliant with current digital tachograph legislation. Connects to PC via the attached USB cable to upload data to your Solo software. 1 x Digital tacho organiser holder. Truck HGV lorry Bundle. Truck lorry HGV driver storage. Tacho Rolls. Truck HGV Digital tachograph holder organiser. tacho organizer truck wallet Lampa. A "must have " item for any truck HGV driver. A SturdyTrucker's Digital Tachograph organiser zipped. 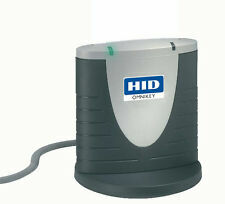 Ideal for keeping all your digital tachograph needs in. Tachomaster Premium Smart card Reader. Condition is Used, very good condition. Digital Tachograph Driver & Vehicle Download Software Kit with Combined Reader! The TMS Soloplus software is an easy to use, cost effective way to be compliant with current digital tachograph legislation. Combined DLK PRO device to Download from driver card and Digital Tachograph. Multiple fitting systems: suction cup for windows or adhesive base for dashboard. Paper & Pen included. Removed from Van and was working perfectly. SEMI-CIRCULAR TACHOGRAPH WALLET. DESIGNED TO KEEP YOUR ANALOGUE RECORDS IN GOOD ORDER. 1 box ( containing 3 rolls). TACHO3 coreless rolls 57mm x 8m. A "must have " item for any truck HGV driver. uncoated thermal paper. Actia Smartach STD2 e2 30. Actia Smattach ADR e2 29. Actia Smartach STD e2 25. NEW Lisle Digidown Download Device Key,VU Data,Tachograph Download Device! Lisle Digidown Plus Digital Tachograph Device. The Lisle Digidown STD device downloads data from digital tachograph vehicle units (VUs) from all current tachograph manufacturers. Used to Download from Digital Tachograph in vehicle. Truck HGV Digital tachograph tacho holder organiser. 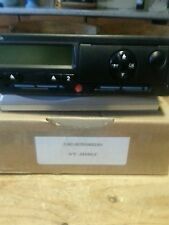 Truck HGV Digital tachograph holder organiser. tacho organizer truck wallet Lampa. 50 page duplicate defect book. Trucker 50 page duplicate defect book. Tachograph Analysis. 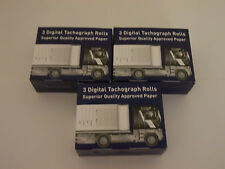 Standard thermal printer paper for use in all type-approved digital tachographs. Director / Transport Manager Compliance Training. Daily Vehicle Check and Defect Book. 1 Book. 50 pages. *Top Quality! HGV driver's vehicle defect book, contains defect forms in duplicate. Also contains a daily vehicle checklist, also 'Nil Defect' Box to encourage drivers to carry out a daily inspection. Daily Vehicle check and Defect Book. 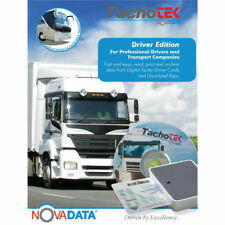 Tachodisc Driver Log Book,TS15, From the Uk's Number one Tachograph specialist! Driver Log Book (product code - TS15). 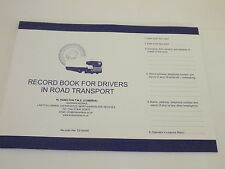 A driver log book designed for use by drivers exempt from tachograph regulations. Front of driver log book has information space for -. Can also used by drivers who want to keep a written record of their working week. 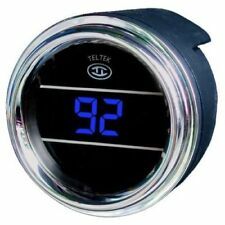 Hgv tachometer. Used but good working order. 100 Tachograph Discs. T1/T2 Type. Helping anyone out where we can. We also have a full range of spill protection products available such as full response kits to individual boxes of oil/chemical spill pads and absorbent booms (sausages). Vehicle Inspection Pad for Goods Vehicles. A4 size Pad contains 100 pages. Maintenance pads designed for routine maintenance checks- includes every item shown in the DOT inspection manual. 1/ An operator will conduct regular safety checks and inspections on the vehicles at specified intervals and keep records of these checks and inspections and their results. Tachpro Drivers Weekly Tachograph Envelopes. Tachpro Weekly Tachograph envelopes for the safe storage and protection of analogue charts. These are also suitable for digital printouts. Records can be written on both the front and reverse of the envelope. 10 x100 Quality Tachograph Discs. Pear shaped centre, red trace. EU Approved Charts that provide superior trace for analysis. 10 BOXES TACHODISC CHARTS. T1/T2 Type. New generation. Jarger automatic. Handy Tri-fold laminated summary of Driver's Hours Regulations. Easy to follow guide. 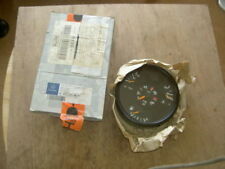 Stoneridge Analog Tachograph 12v. Condition is Used. Dispatched with Royal Mail 1st Class. The Lisle Digidown device downloads data from digital tachograph vehicle units (VUs) from all current tachograph manufacturers. TMS SOLOPLUS software is an easy to use, cost effective way to be compliant with current digital tachograph legislation. ATEGO GEAR LINKAGE UNIVERSAL JOINT. Over 30 years of experience in part sales. Part NO : STC813. Fits Land Rover Discovery 1. Northern Island. Channel Islands (Including the IOW). The Isle of Man and any other non-mainland locations. 6 digit LED digital clock displaying hours (12 or 24hr), minutes and seconds, with a stopwatch. This is Ideal for motorsport cars with FIA cut off switches. The Internal coin cell battery can be easily replaced in future as required. If you provide us with your part number we will find a matching panel. Combined Digidown Plus device to Download from driver card and Digital Tachograph. The Lisle Digidown Plus device downloads data from digital tachograph vehicle units (VUs) from all current tachograph manufacturers.